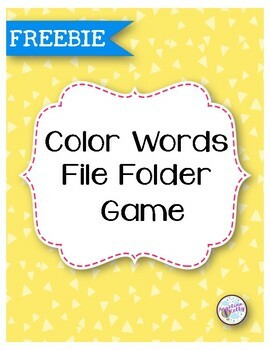 This file folder game reinforces color identification skills. 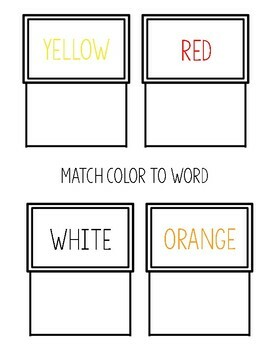 There are three differentiated file folder games: matching colors, matching to color to word and matching colors to colored word. 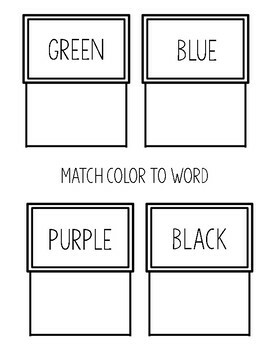 Labels for file folder are included. Print on card stock and laminate. 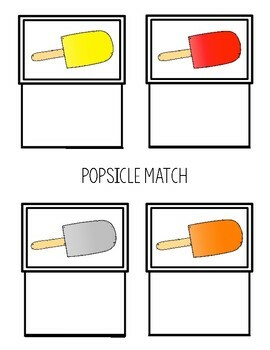 Attach Velcro to the colored popsicle pieces. Great for independent work, at a math center or small group instruction. ☺ Click on the green ★ above to follow me to get updates on my newest products. ✎ Earn TPT credits by providing feedback on your purchases.